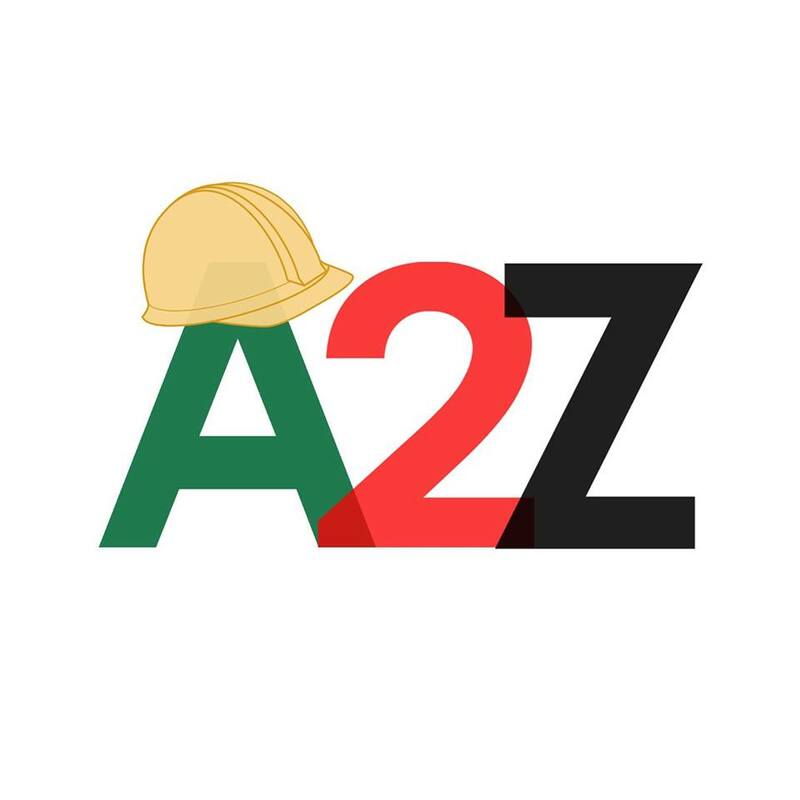 The ACE (Architecture & Civil Engineering) 2 Zambia project is a scheme run jointly by the Wallace Group of universities and the University of Bath Architecture and Civil Engineering department. 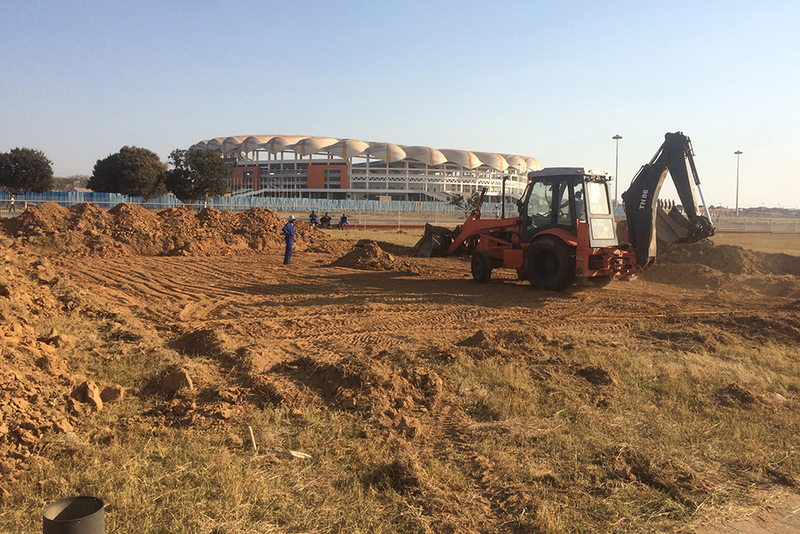 The mission is to provide permanent sports facilities in Zambian communities which would otherwise never have access to them. 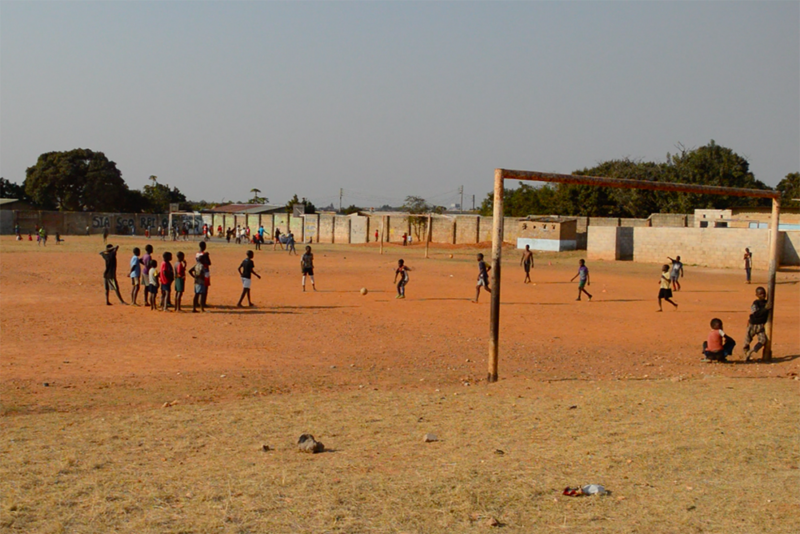 This is possible via a strong relationship with our partners Sport in Action. 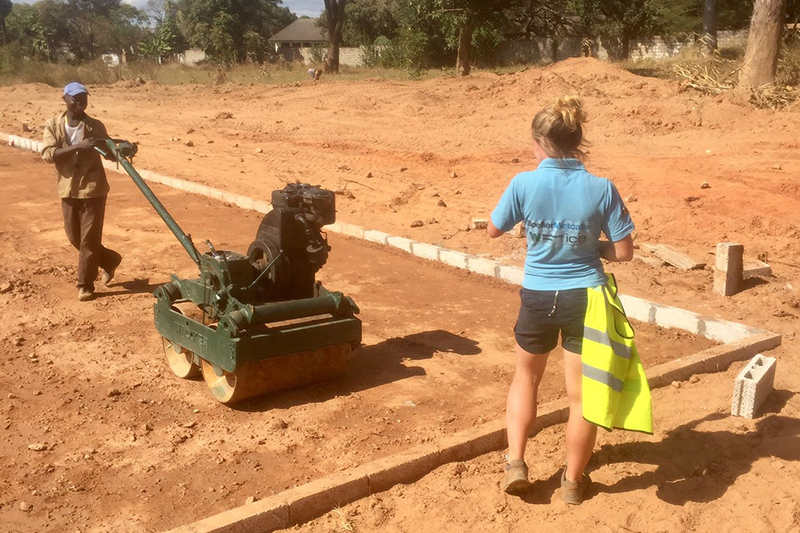 ACE2Zambia was initiated in 2016 and sees a team of up to six students from the University of Bath travel to Zambia each year to manage various development projects. 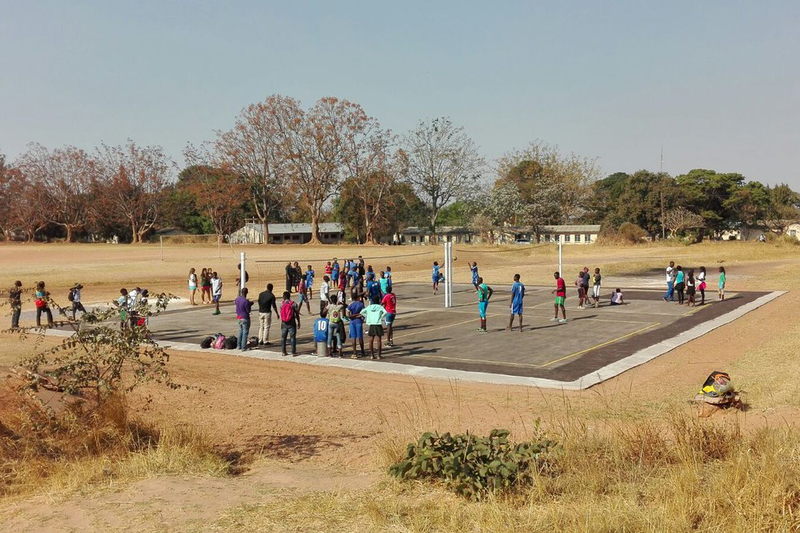 In 2018, facility development focussed on the construction of a multi-purpose sports court (for volleyball and netball) based at Chipata Community School where hundreds of children attend daily for education and sports. 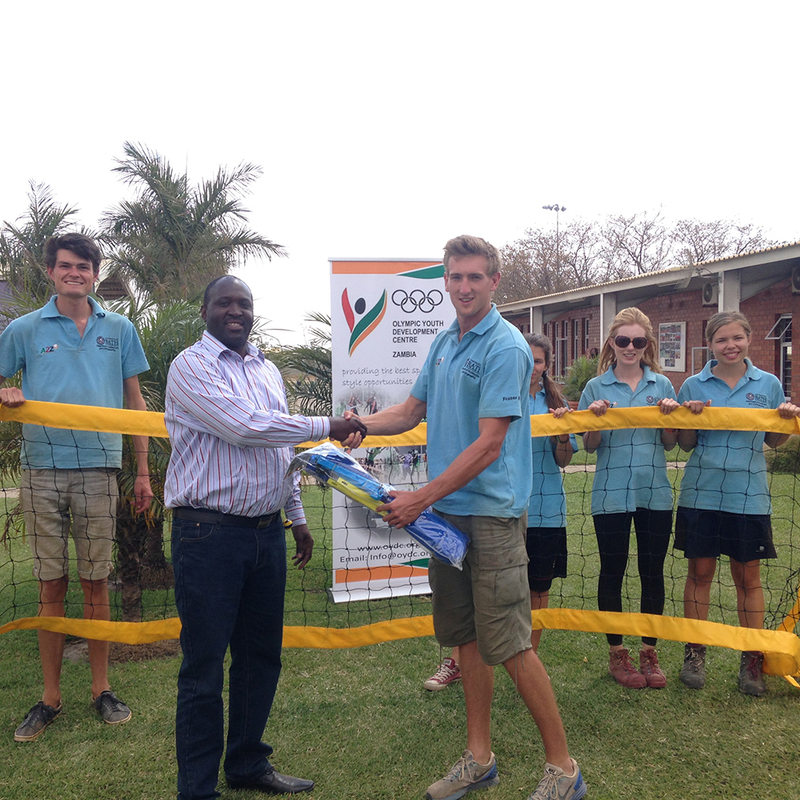 Before travelling to Zambia, the students were focussed on raising the £6500 necessary to construct the court. 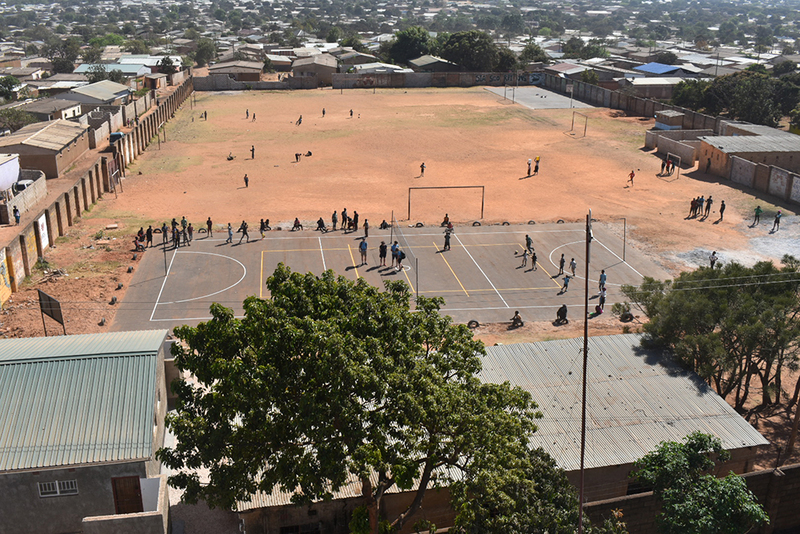 The area is a densely populated, sprawling community with 60% of its 150,000 inhabitants aged between 3 and 24. 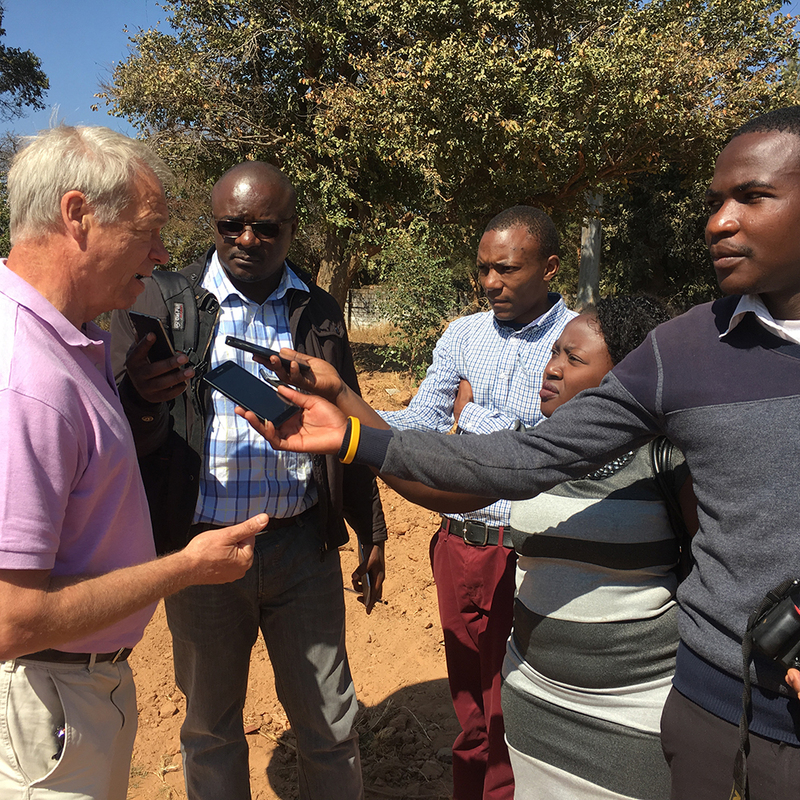 80% of the population live on less than a £1 a day and unemployment runs at 90%. 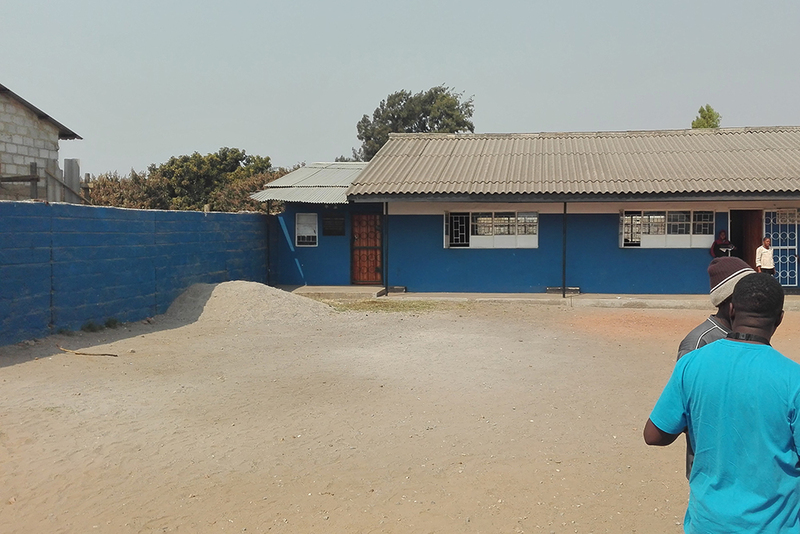 Therefore, Chipata Community School is a key driver for change in this area, educating the youth for better employment in the future. 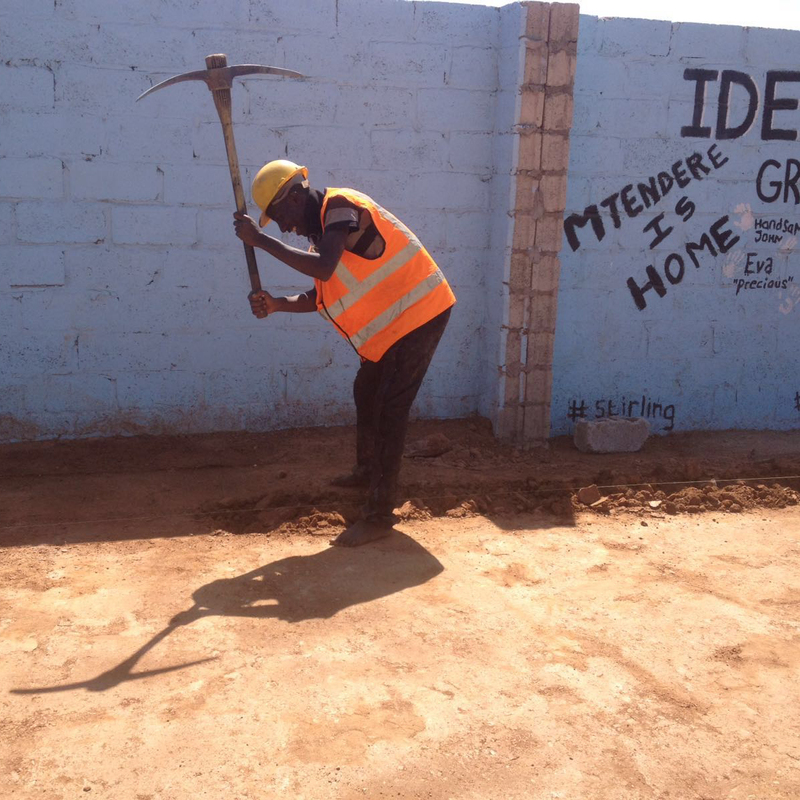 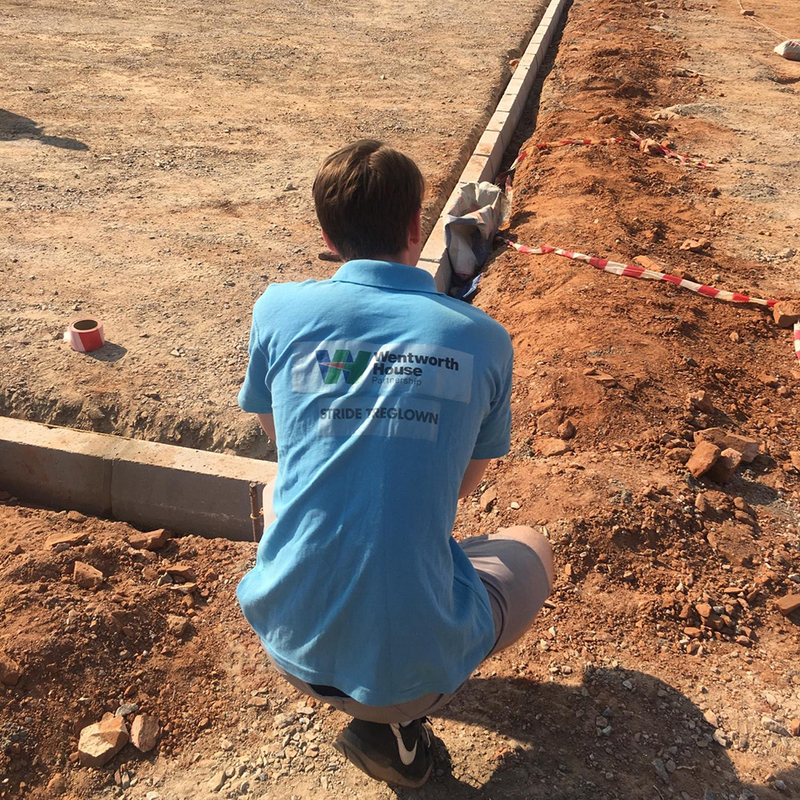 Whilst in Zambia, the students’ main roles were to select a suitable contractor to build the court and negotiate a deal, as well as act as project managers throughout the construction process. 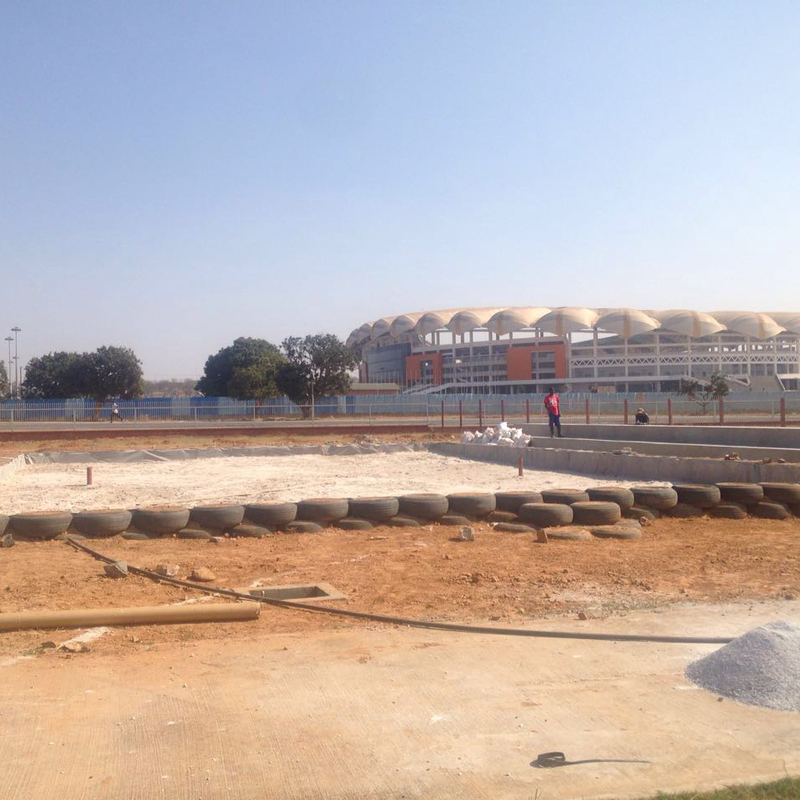 This included submitting design proposals for the court, checking the construction quality and making sure the court was finished to their schedule. 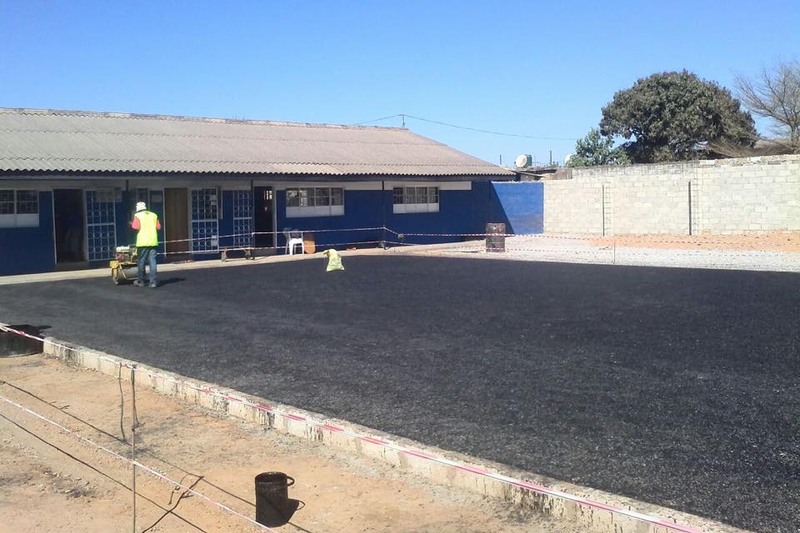 The path to completion was not an easy one for the students as there were many delays and issues during the project. 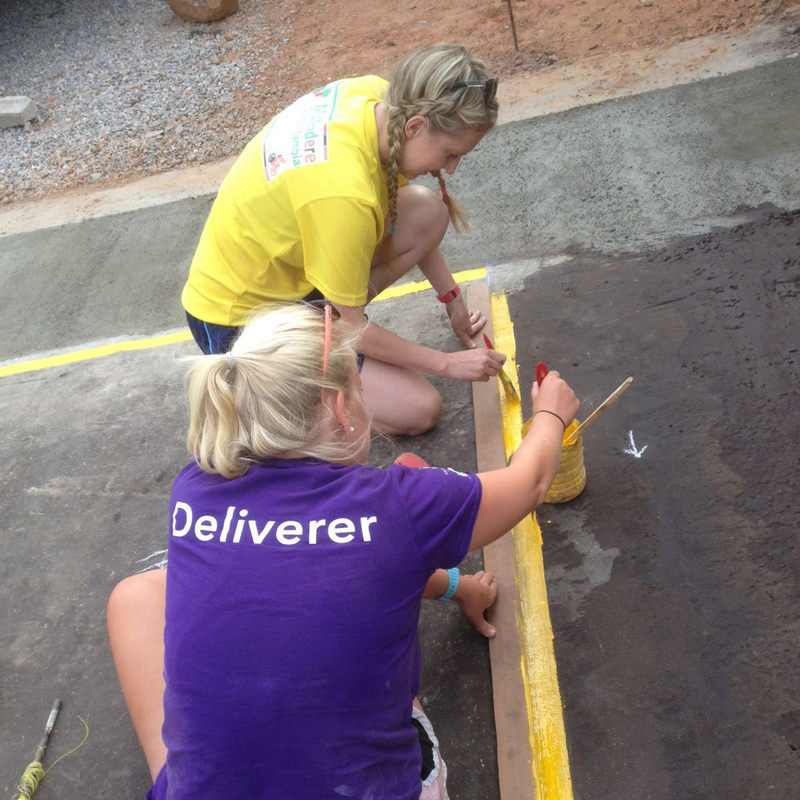 Deliveries would often take hours or days more than expected and it was difficult to manage with the language barrier. 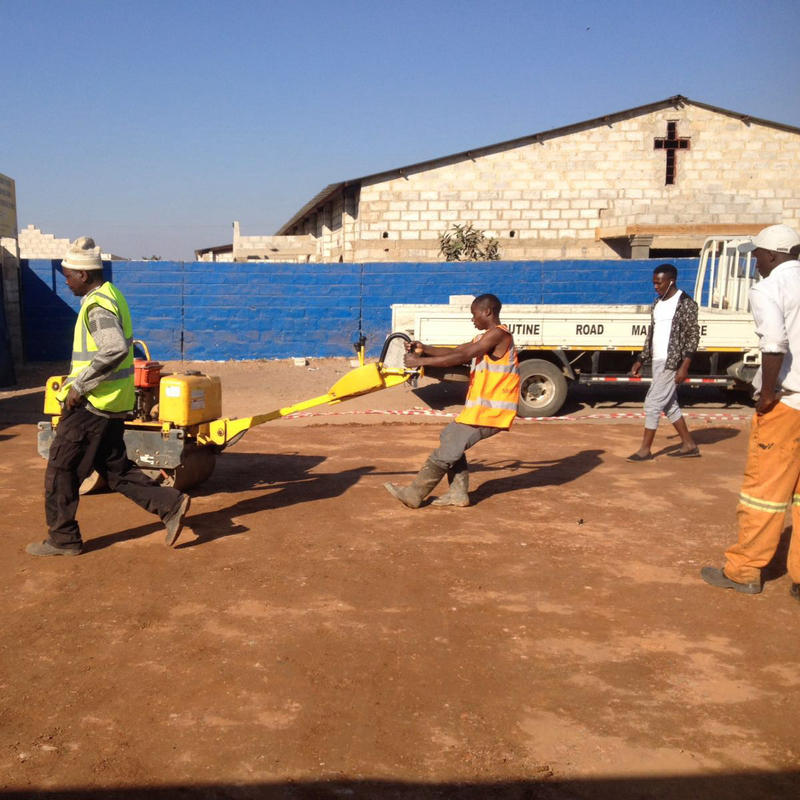 However, the team and contractors pulled through in the end as they were able to finish before leaving back to the UK. 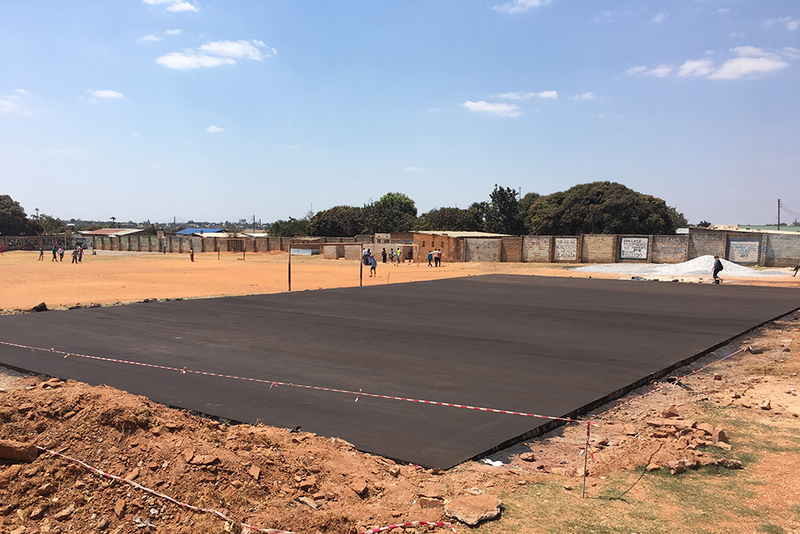 The 2017 project saw the construction of a new netball court at Munali School on an overgrown patch of ground, and the renovation of the changing rooms which serve the football pitch and athletics track. 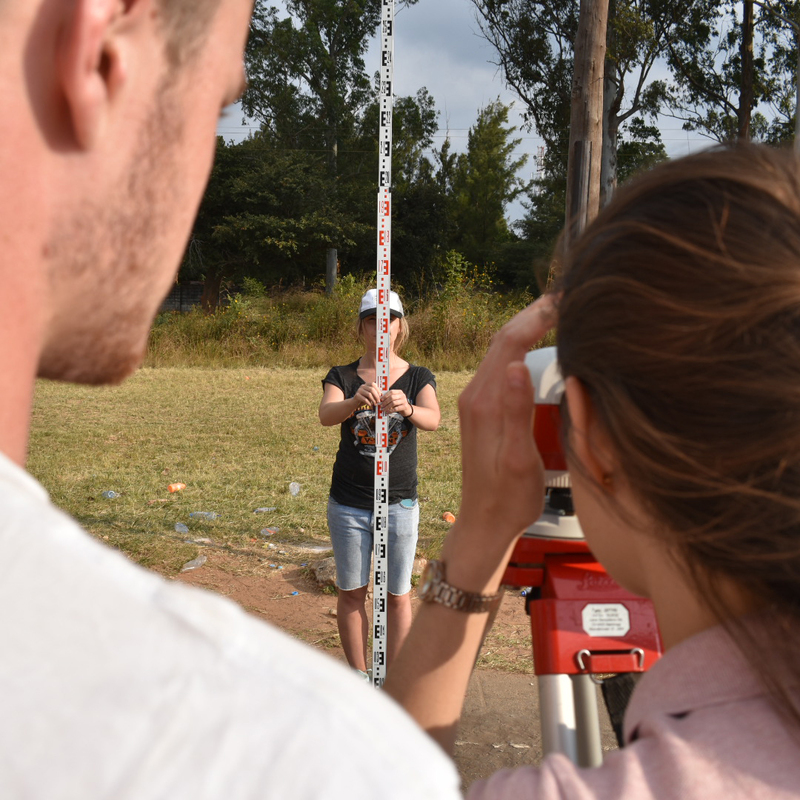 The work was jointly funded by the Ace team and contributions from Wentworth House, University of St Andrews, University of Bath, Solid Structures and Speller Metcalfe. 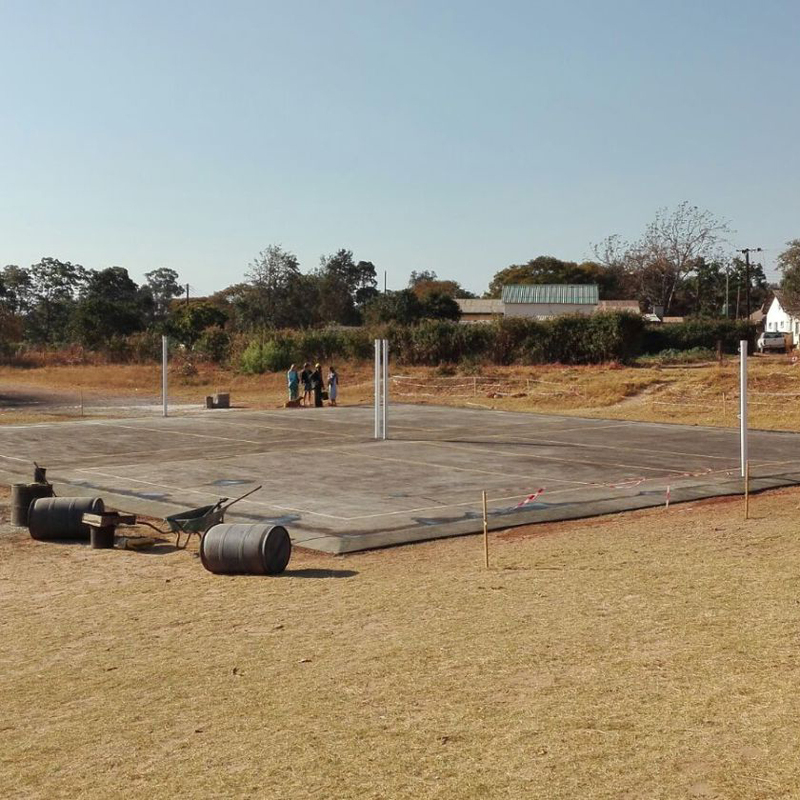 The original netball court at Munali had been completely disregarded and left to go to waste, and was in no fit state to accommodate any form of sport. 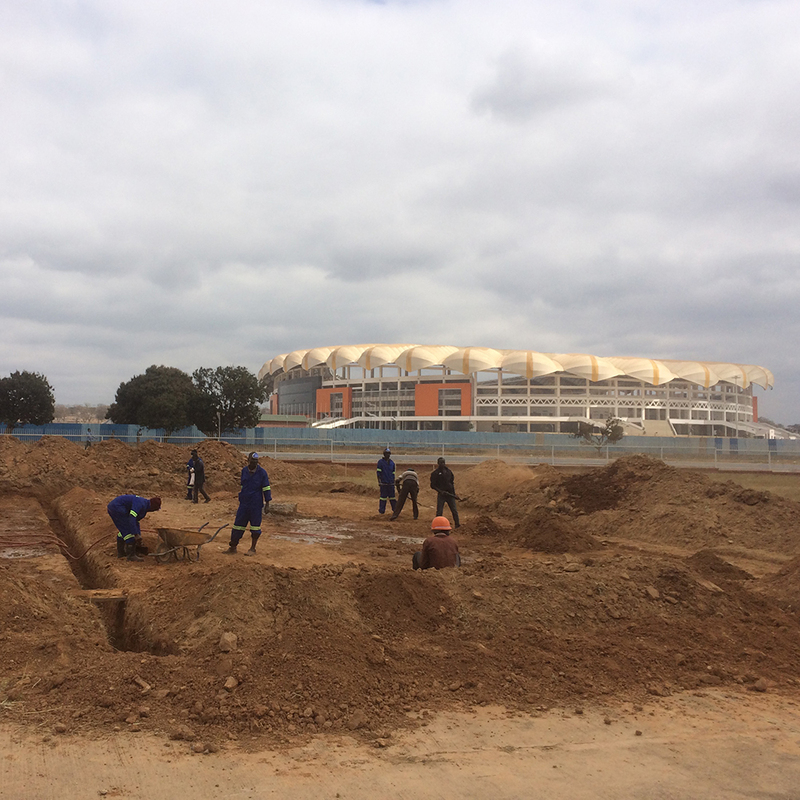 The existing changing rooms were in a state of disrepair – the toilets hadn’t worked for a while and the sewage system was entirely blocked with sand washed in during the rainy season. 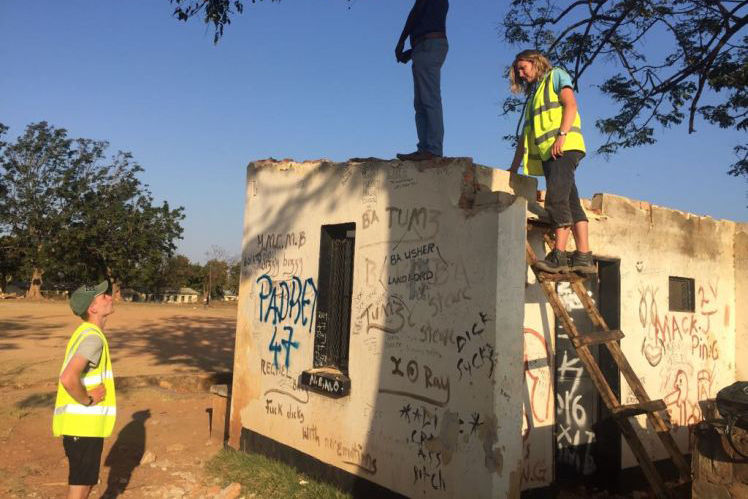 Termites were also proving quite an issue, having eaten away at some of the timber beams. 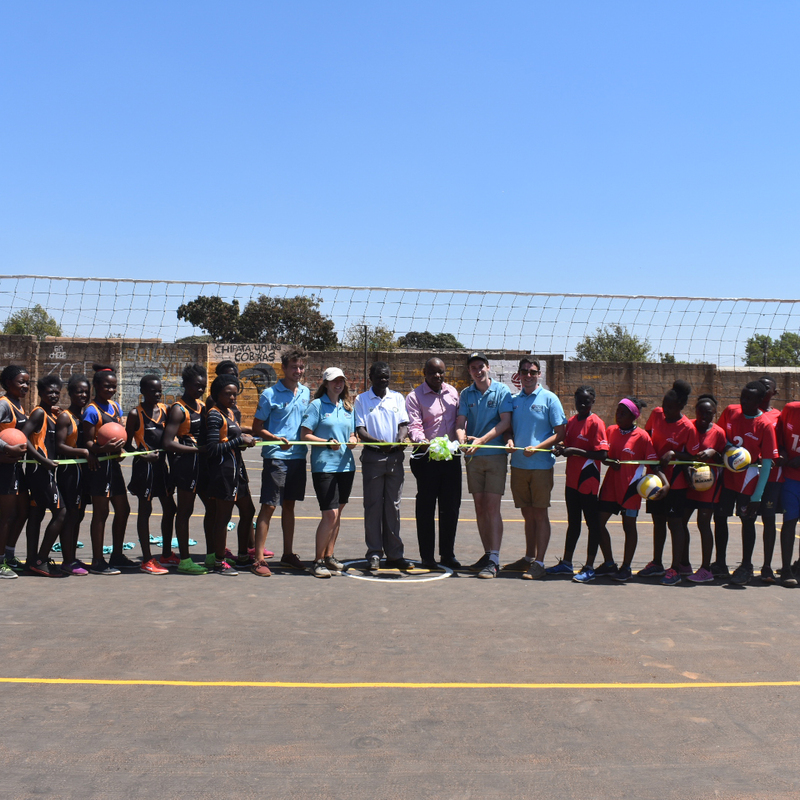 The project was completed on time and the netball court was opened during a special ceremony involving two of the Wallace Group Directors, Dr Peter Warburton and Stephen Stewart. 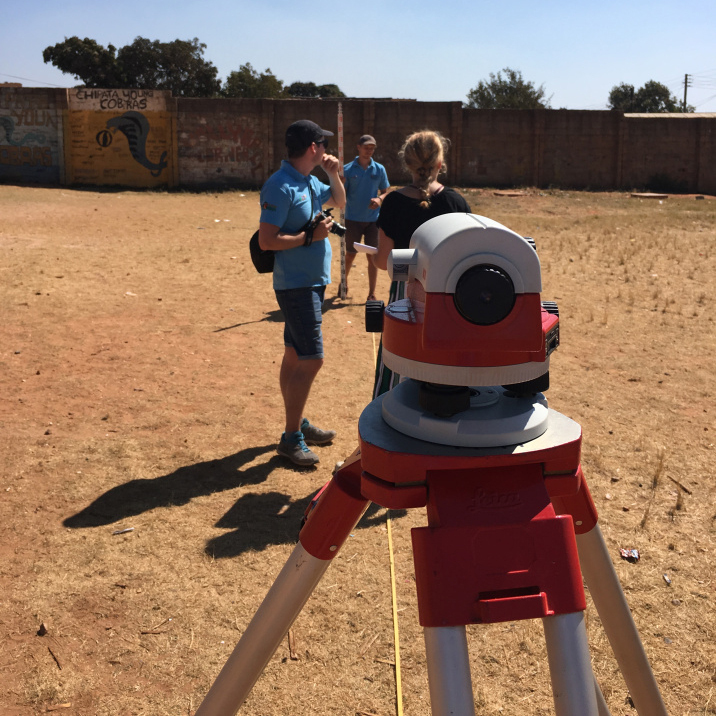 The University of St Andrews has been running a rural placement in Liteta since 2009, giving students on the Volunteer Zambia project the chance to prolong their trip by spending an additional 10-14 days living with host families within rural villages. 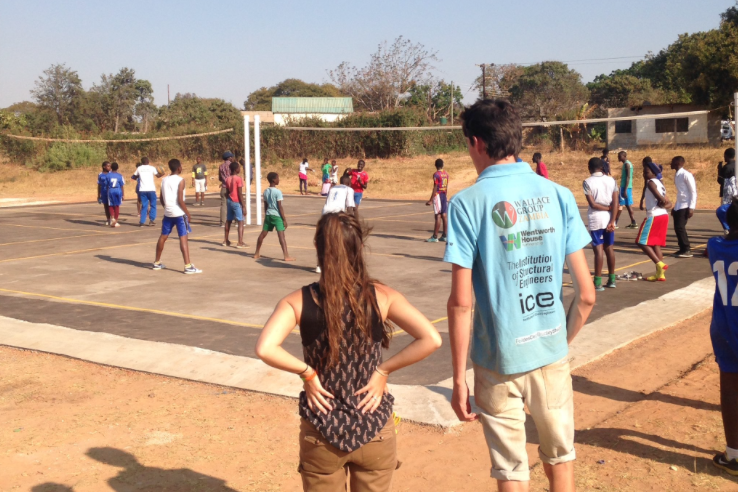 The placements are coordinated in partnership with SIA and provide a unique opportunity of experiencing Zambian culture first-hand. 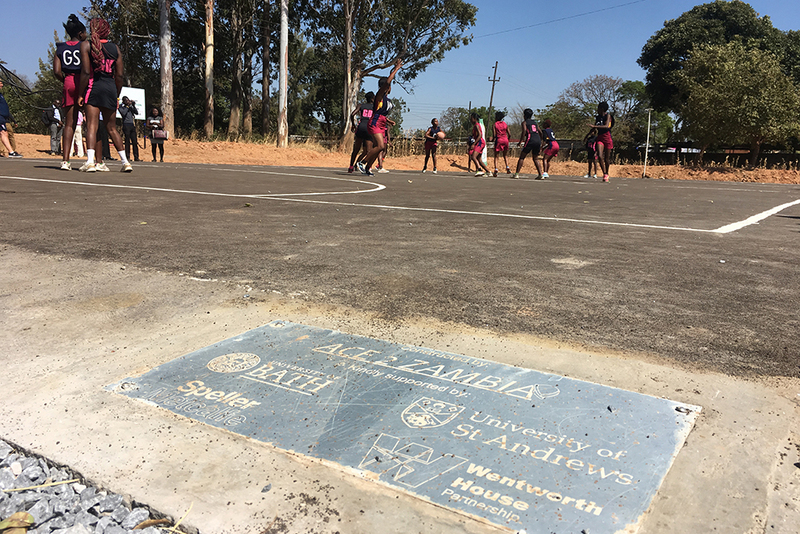 In 2017, the University of St Andrews funded a new netball court for the main community school, with the project coordinated with the help of Henry Paul. 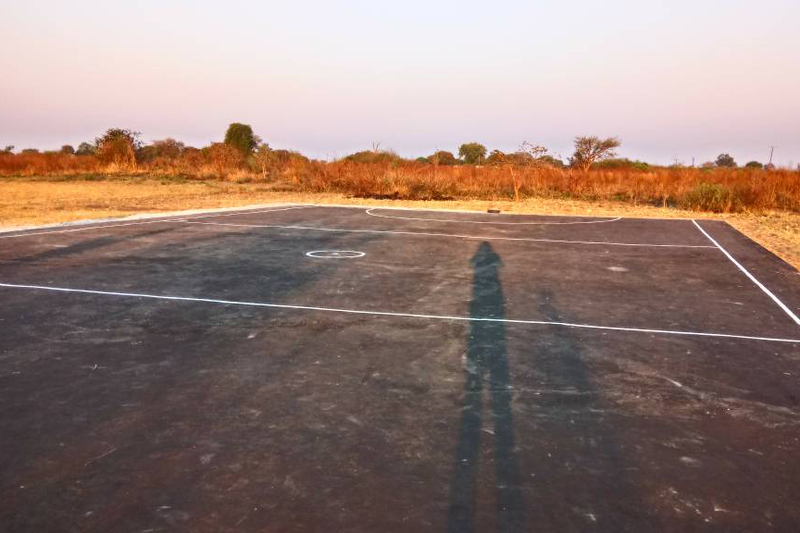 The original netball court at Liteta was in the middle of scrub land, a short distance away from the main community school. 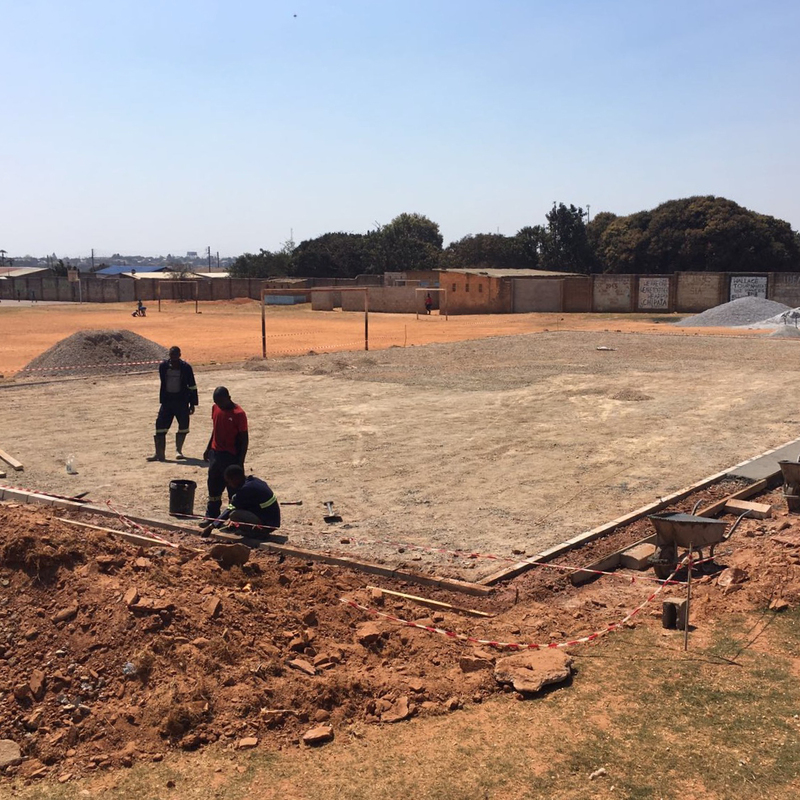 The new court was completed towards the end of the summer and will help support Sport in Action’s netball league structure. 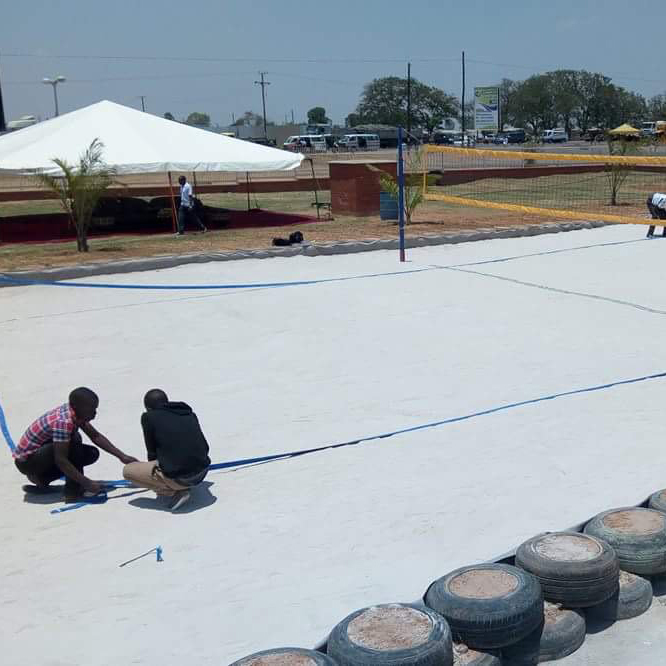 Munali High School’s two existing volleyball courts were in dire need of resurfacing in order to support coaching and improve player performance. 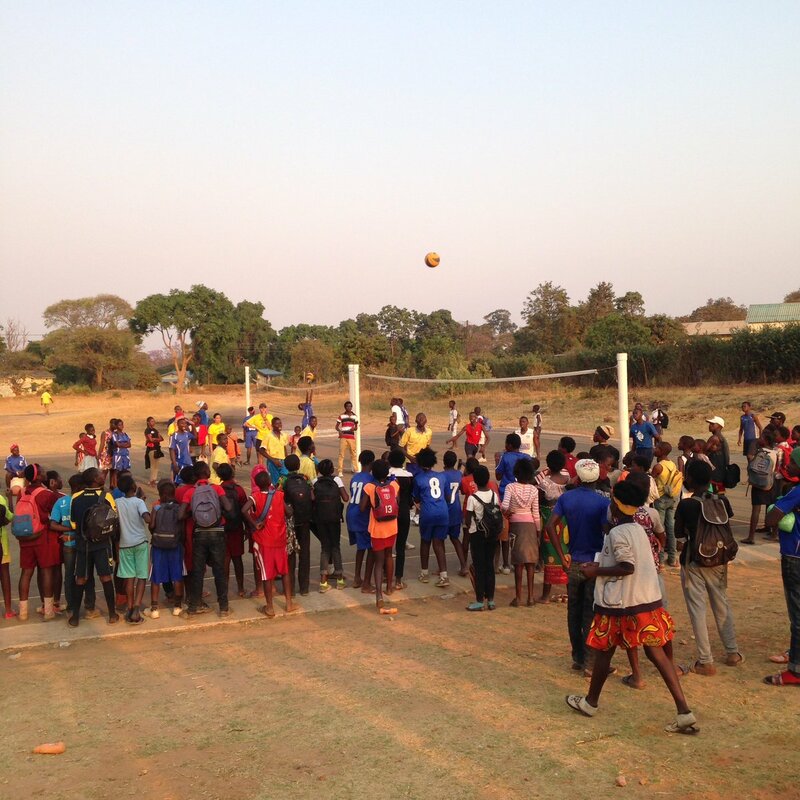 The construction team fundraised close to £4,000 to cover the cost of building two volleyball courts, which were also generously supported by industrial sponsors/donors including; Wentworth House, Feilden Clegg Bradley Studios, the Institution of Structural Engineers and the Institution of Civil Engineers. 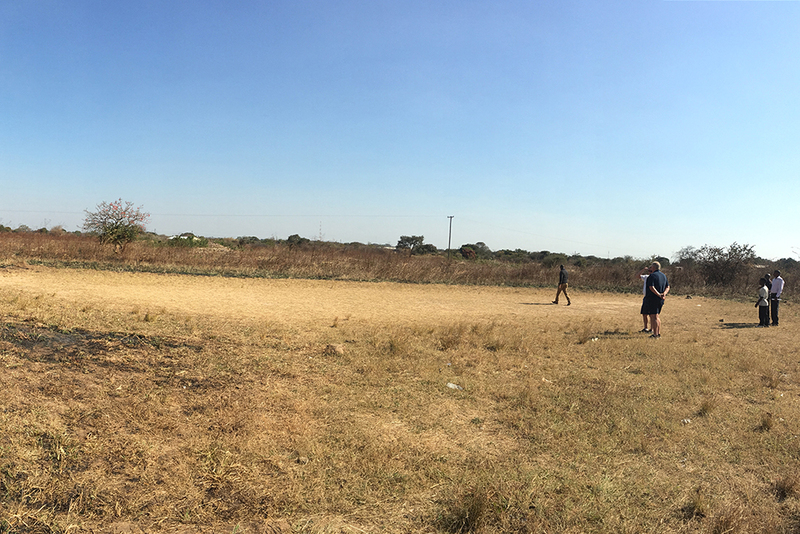 Munali’s volleyball courts were nothing more than lines marked onto compacted earth with poles and nets. 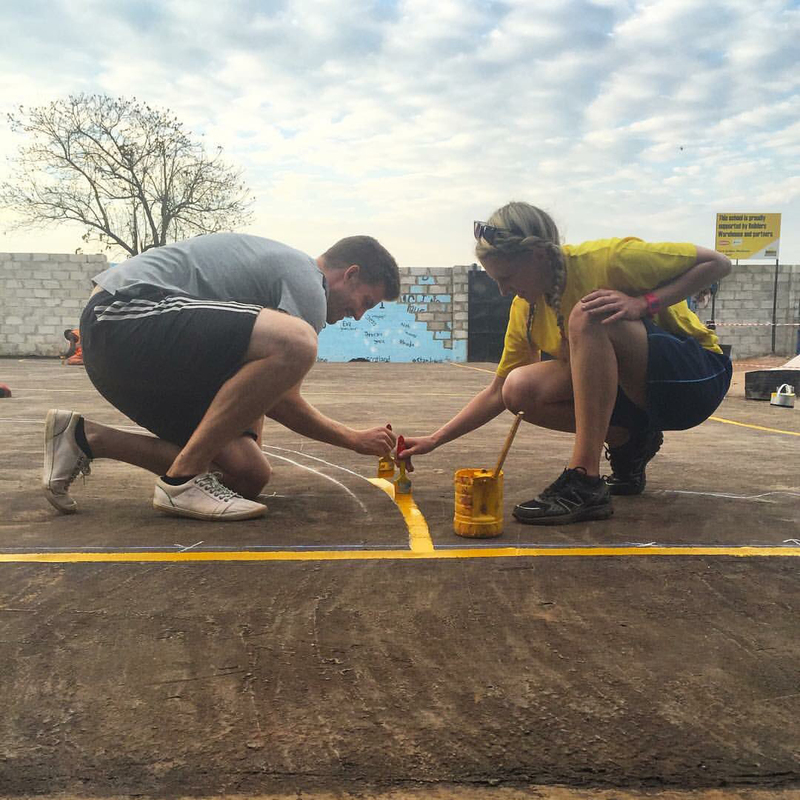 When the ACE team left six weeks later, the court was resurfaced to an extremely high standard, not dissimilar to a court you might see in the United Kingdom. 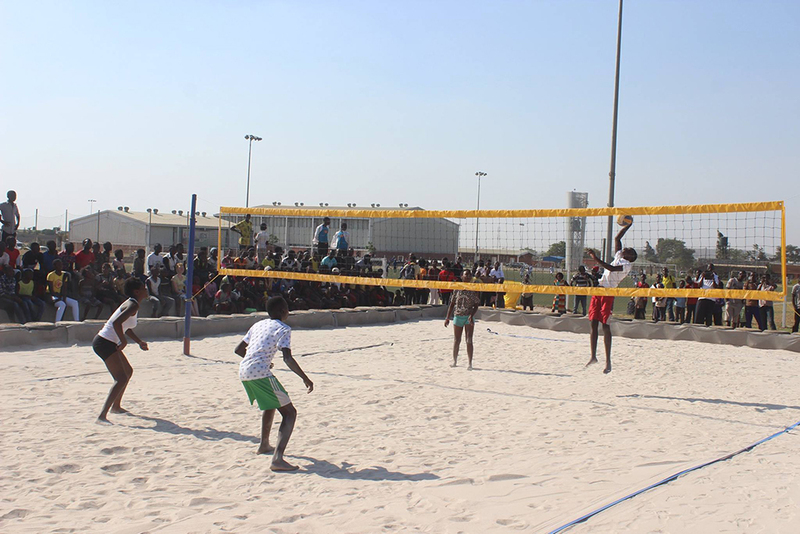 A week prior to the team’s departure, the school held an opening ceremony to celebrate the first game to be played on the new courts. 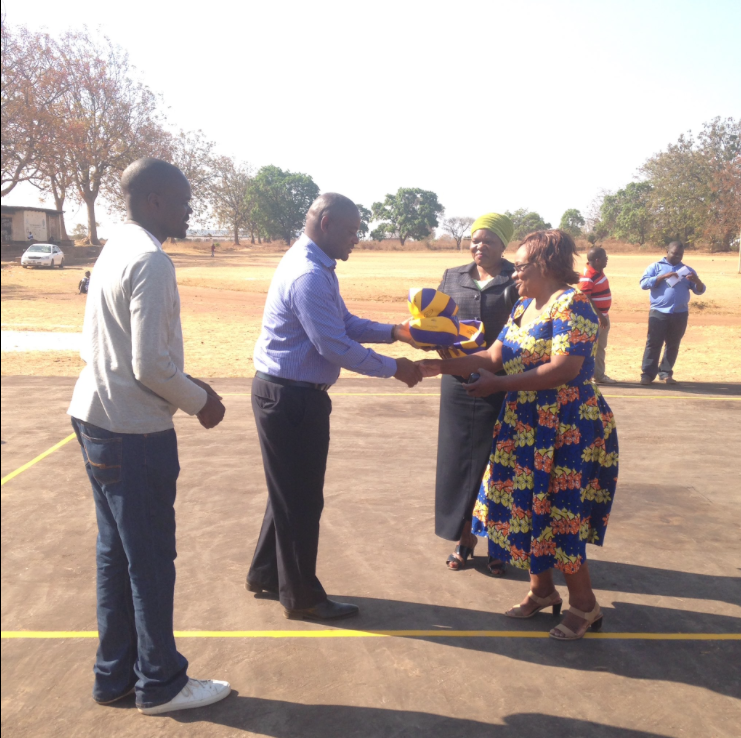 The multipurpose court at Mtendere had been in a poor condition and not necessarily fit for use. 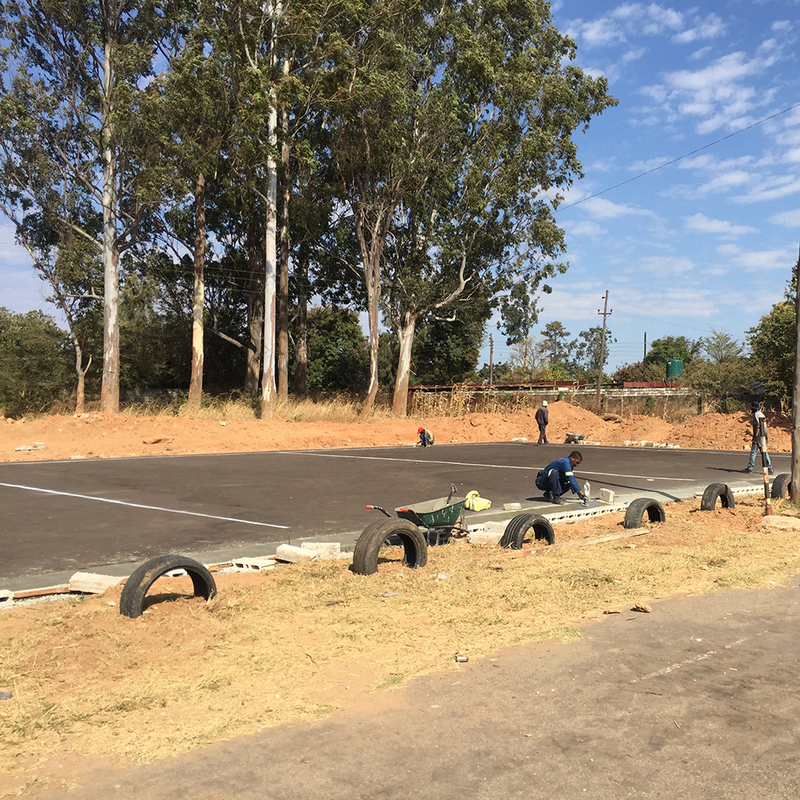 The court was the main play area of the Community School and its resurfacing was necessary to provide the children with the facilities to continue their netball and volleyball training, as well as physical education lessons. 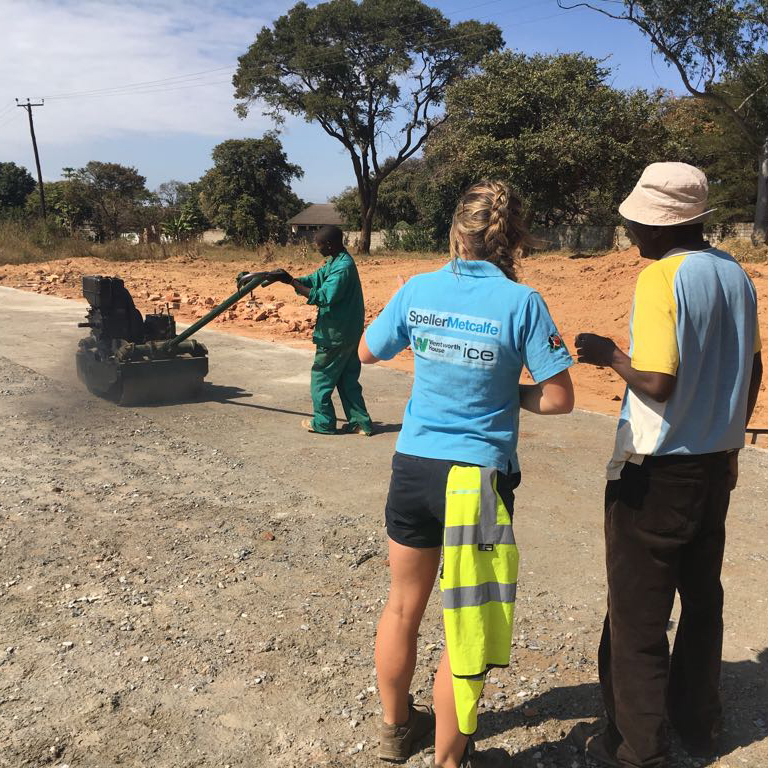 Kelly and Keith Hunter who had previously volunteered with IDEALS, wanted to give something back to this inspirational school and along with friends raised the funds for the much needed resurfacing. 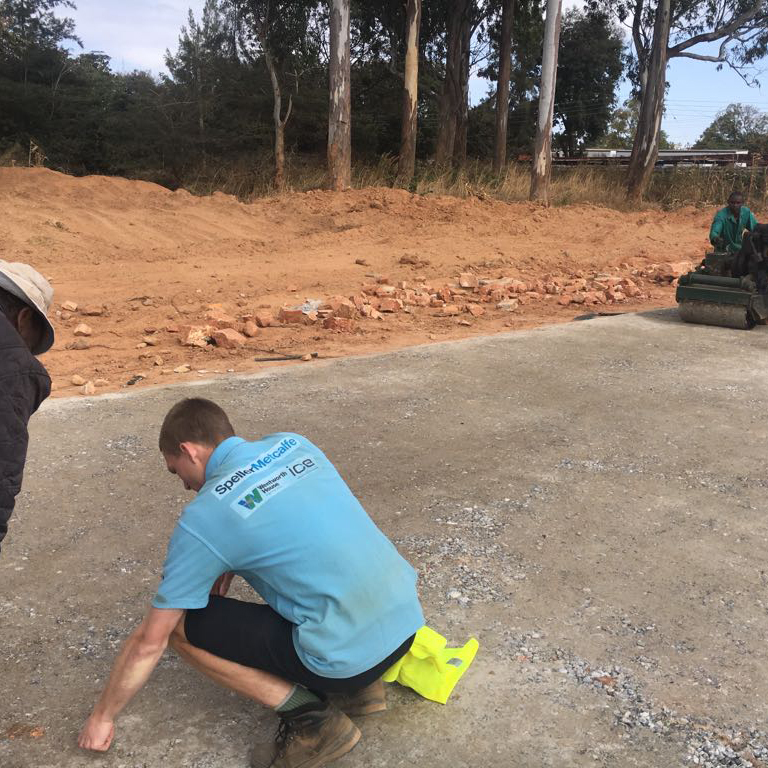 The ACE team were incredibly grateful for the support they received and as a result of the resurfacing works there has been a huge improvement to both the school and its sporting facilities. 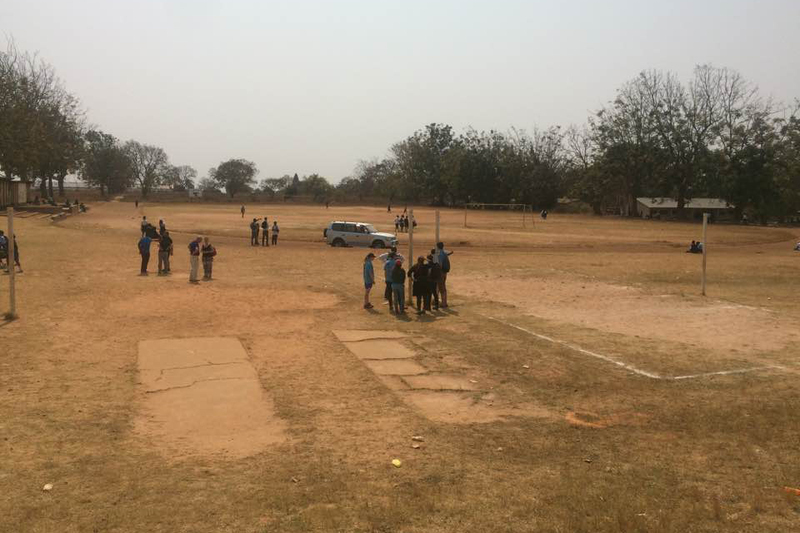 The court was successfully completed during the project, but unfortunately the ACE team had left Zambia by the time of the opening ceremony as a few final touches were necessary as required by the school. 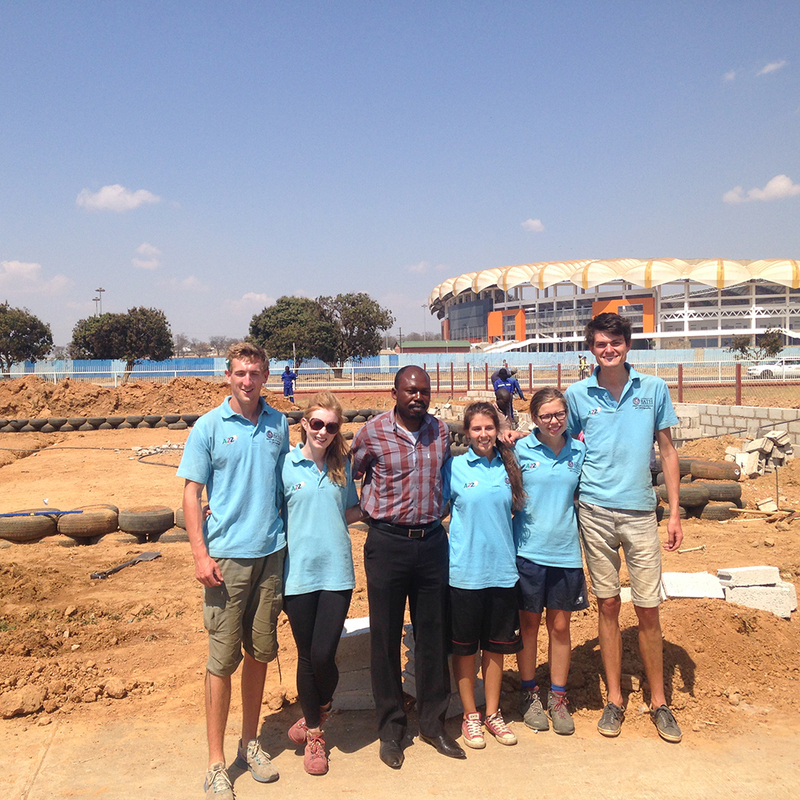 The ACE team were tasked with designing and constructing the countries first ever Beach Volleyball Court at the Olympic Youth Development Centre in Zambia. 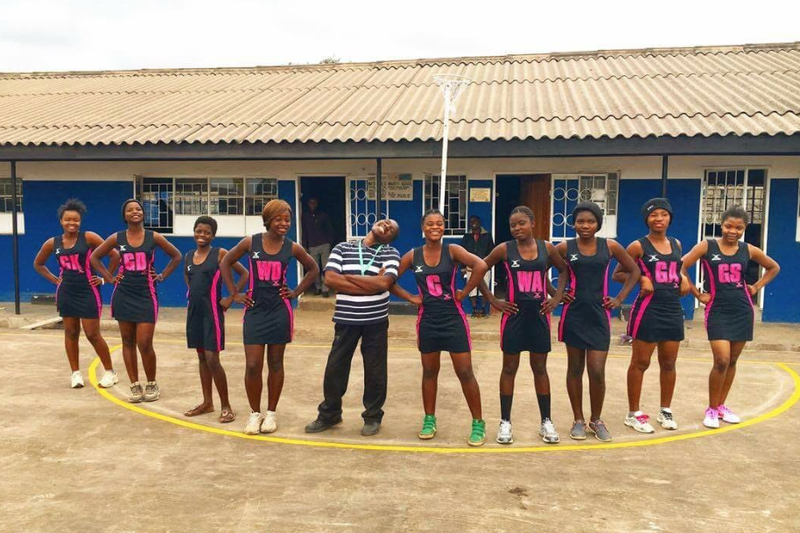 It is expected that the court will have significant impact on both the participation and performance level of the sport, with eyes on converting talent into Olympic hopes. 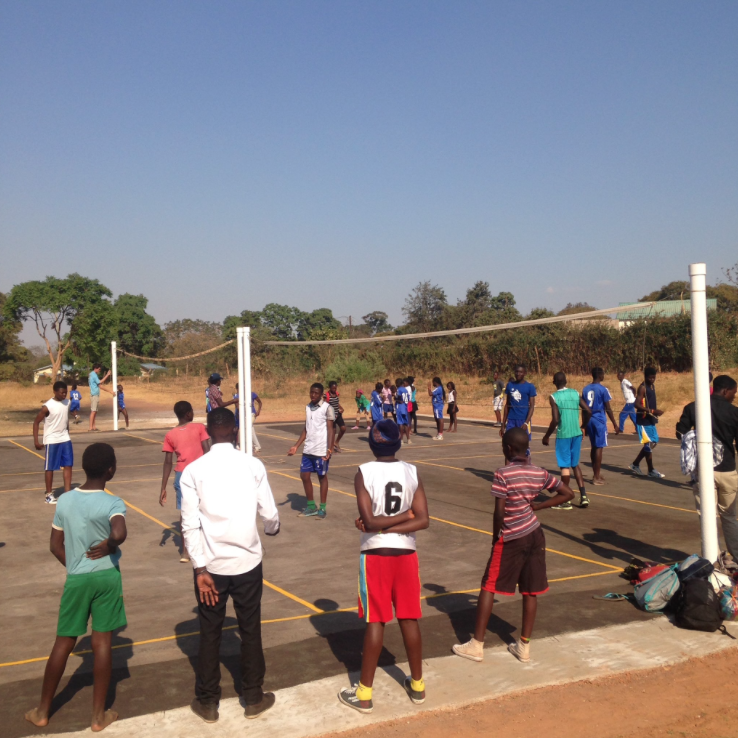 The court was a significant investment, which was funded by a variety of institutions and charities, including; the Wallace Group Universities, The Perfect Day Foundation and Volleyball England. 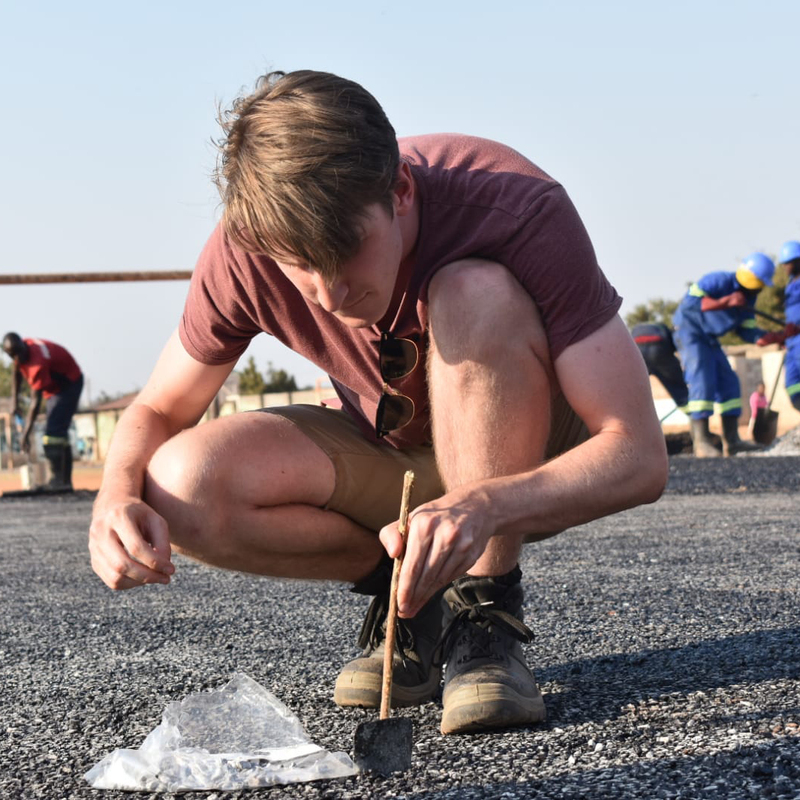 The construction was managed by the ACE team but executed by local Zambian contractors, which whilst challenging at times due to differences in working practises resulted the students forming good working relationships with their Zambian counterparts. 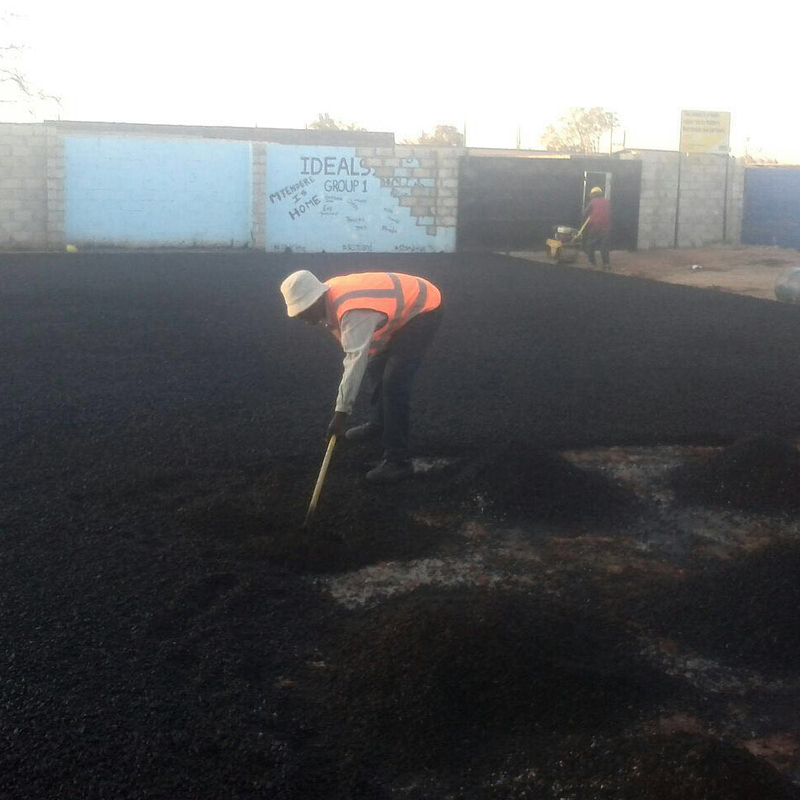 Due to a multitude of delays, a loss of 15 days out of a total of 35 days, the court was not completed before the ACE team departed. 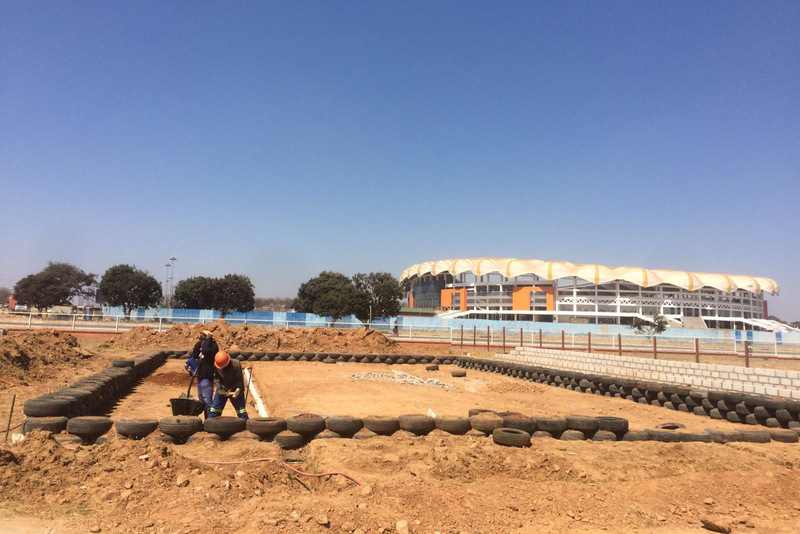 However, prior to their departure, they had a handover meeting with all major stakeholders and the new project manager specifying the requirements for the remaining works. 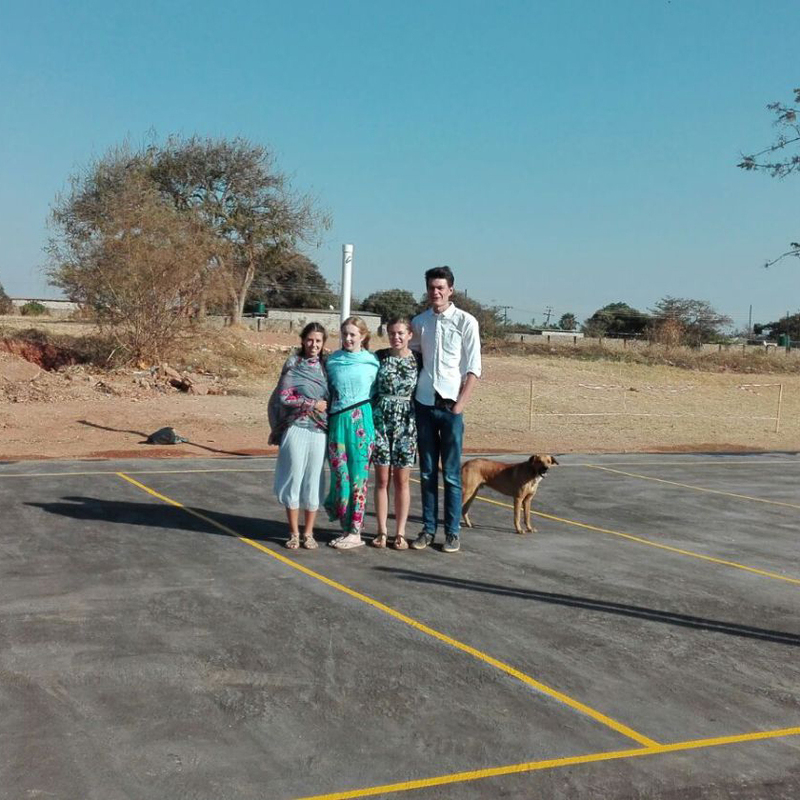 The court was finished a few weeks later.